I know I'm not the only one guilty of wanting to look the best I can in my swimwear during the summer but how about when the holidays are over? Now that the sunnier weather has begun to fade away and the darker mornings are setting in, I'm finding it increasingly harder to muster up some motivation to get out of bed each day, let alone working out. Throw in the fact that my eating habits aren't typically the norm, I'm faced with a real difficulty to not pile on the pounds over the colder months. Now this isn't specifically a post about weight loss. 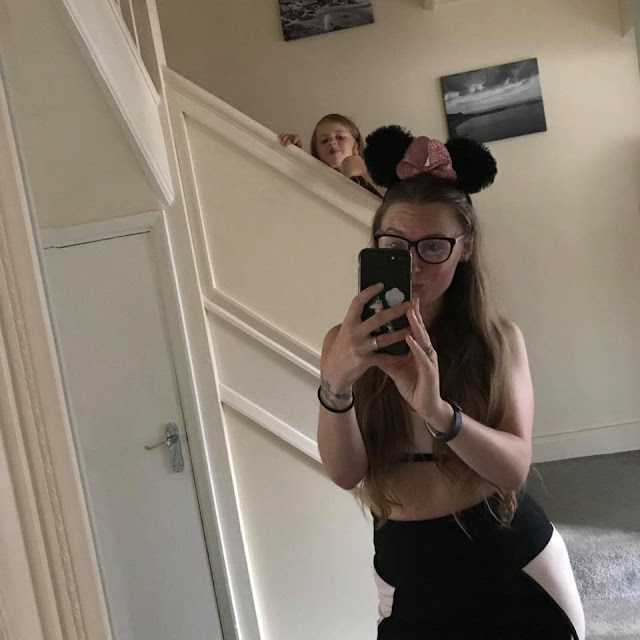 I don't want to change how look, more maintain what I've managed to achieve throughout the year so far. I'm not sure I've actually mentioned on here but around the middle of the year I changed the way I eat, beginning to use the method of intermittent fasting. What this basically means is fasting for a certain amount of hours and only being able to consume foods for a set amount of time before beginning your next fast. Right now I tend to stop eating around 9pm and I don't then eat again until around 1.30/2pm the following afternoon. Luckily for me you are allowed to still drink water and black coffee (without sugar) and seen as I basically run on caffeine, this works well for me. The real question is how to prepare myself to get out of bed to exercise? * Set a more gentle sounding alarm tone, sounds silly but makes it a lot easier to open your eyes when you're not being woken up so abruptly. * Make sure the heating comes on before you get up, waking up in a warm house makes a huge difference! * Wear your exercise clothes to bed. Surprising how much easier it is to get going when you wake up prepared, no excuses now. * Have a coffee maker with a timer set to have your coffee ready for when you make it downstairs. Obviously when fasting I don't eat at breakfast time but that's not to say that I don't eat breakfast. 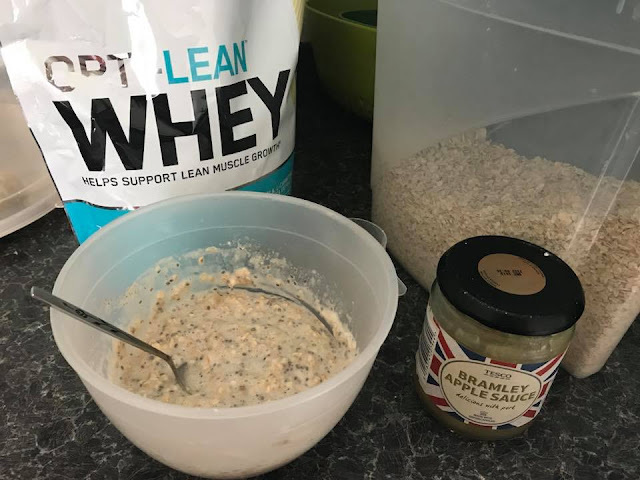 Food wise I really need to be able to grab things that are quick and convenient as I'm on the go a lot of the time so one of my go to foods which are great hot or cold are overnight oats. Recently I've been adding Optimum Nutrition protein powder to mine to give my body that extra boost that I need after exercising. The protein powder is great just mixed with water too so handy to have as a pre-mixed drink in my handbag as well. 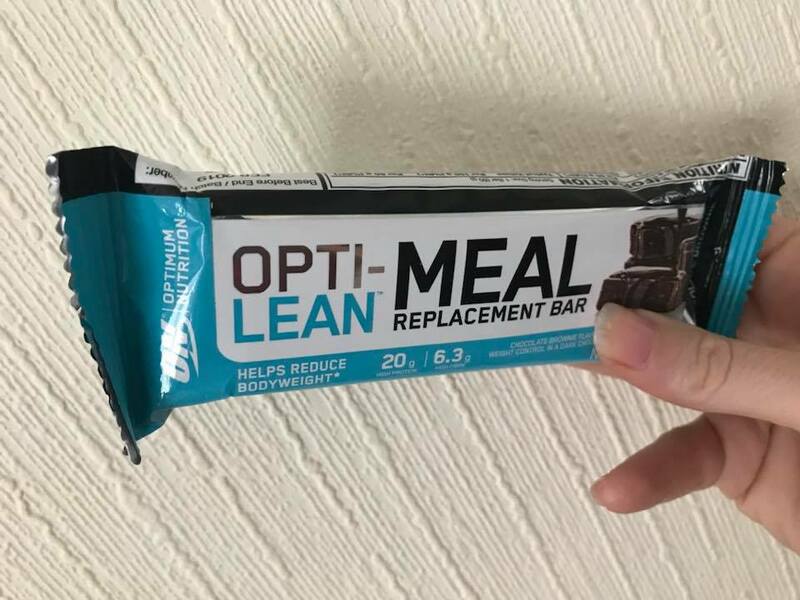 And something that I now have in my bag at all times after being sent one to try are these Opti-lean meal replacement bars. There are days when I don't manage to get a lunch break so these are something I can sneak in just to give a bit of boost to make it to the end of the working day. One other tip that I'll offer out is this. Set goals. Think about your step count. I know in the news recently that it said something about the fact that it doesn't matter if you do 10,000 steps a day but I find setting myself a step goal highly motivational. I tend to feel guilty if I haven't managed a certain amount of steps in a day so this encourages me to keep moving, even if it means simply jogging on the spot for 10 minutes. Have an idea of what you want to achieve, don't think about others around you or the pictures you are seeing on Instagram. Keep it simple and do what works for you. I feel when we strive to be like others that's when we'll fail. Staying healthy isn't about how others perceive what healthy looks like, it's all about how you feel! What tips do you have for finding the motivation to stay healthy after summer fades away? Share them in the comments below.